Learn to play the guitar, bass guitar, piano or keyboard. Private lessons are available for children and adults. Beginners through advanced students are welcome. 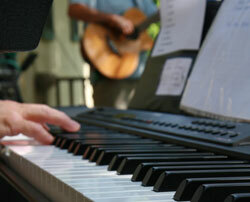 Learn to play classical, jazz, rock, blues and pop music from a working professional musician. I am an experienced, patient, and enthusiastic teacher with 30 years experience. Lessons focus on proper playing techniques, music theory, harmony, music reading, and improvisation. Also learn to play your favorite songs. Poway, San Diego, Scripps Ranch, Rancho Bernardo, Rancho Penasquitos, 4S Ranch and Sabre Springs. 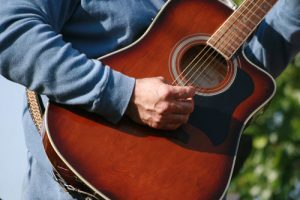 The Poway area has access to many good and talented guitar instructors. With so many to choose from, whom do you go with? When reviewing the many choices for guitar lessons, Poway has an excellent example in Glenn Sutton. 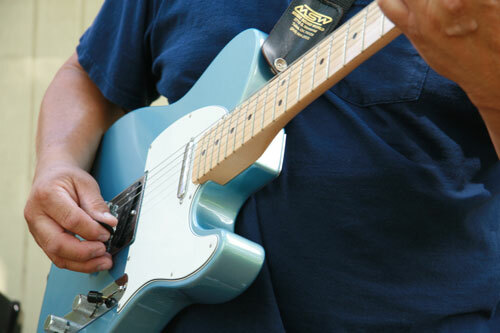 Here are some of the many reasons you should consider hiring him for your Poway guitar lessons. It’s one thing to be a guitar instructor who stays in the classroom. It’s another thing to be a working guitarist who also teaches. Glenn has been playing guitar in the studio and on stage for over 30 years. He has played at weddings and concert halls, solo and as part of numerous groups. In addition to guitar, Glenn is also proficient on the piano, bass, and numerous other instruments. He is an accomplished songwriter in multiple genres. What does all of this mean for you? Glenn can take you beyond the mere mechanics of guitar playing and show you how your guitar works together with other instruments in a band setting. Glenn can demonstrate how to adapt your playing for different situations. Do you want to learn guitar in a specific genre? Fantastic! Glenn will get you going if you are a beginner. If you are more advanced, Glenn will offer you a challenge to get you to the next level. What if you want to learn more than one type of music or different playing styles? This is where Glenn stands out from the rest. He has been influenced by artists in classical, jazz, rock, country, and other genres, and is proficient in all of them. He can teach you multiple styles or teach you how to use elements of one style to enhance your playing in another. Just because someone can play an instrument does not mean that they are suitable to be music instructors. It takes someone who can relay the concepts of guitar in a way that’s easy for the student to understand to be a good music teacher. It is also important to have a teacher who is patient and encouraging, who remembers what it was like when he or she was starting out. Glenn is well-known for his patience, understanding, and laid-back approach. This is especially beneficial for beginners and children. Speaking of children, Glenn teaches all ages from young kids to the young at heart. You are never too young or old to learn to play guitar! When you are learning guitar (or anything else in life), it’s important to have a game plan. What style do you want to play? Do you want to learn electric or acoustic guitar, or both? What pace do you want to learn at? Each student is different, and Glenn knows this. He will work with you to plan out a curriculum that suits your needs and tastes, and he will encourage you every step of the way. In addition to providing lessons at his studio, Glenn can bring the studio to you! He now offers mobile music lessons in the comfort of your home. Please contact Glenn for more details.